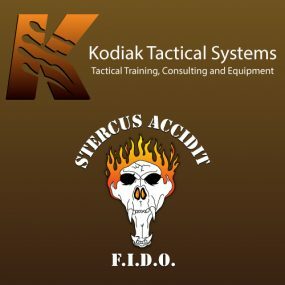 This lightweight, collapsible tactical ladder is distributed by Kodiak Tactical and made of super strong, state of the art, light weight materials. 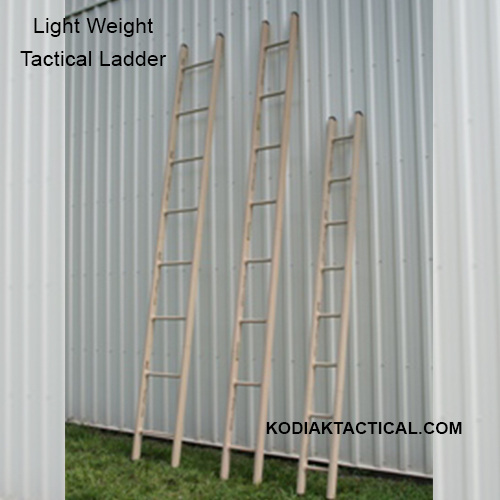 This ladder has become a standard for many Special Operations units. A 12 ft ladder weighs an amazing 15lbs!! Yet it supports over 300lbs at a 75 degree angle. This ladder also has bridging capability. Now you can discard the heavy aluminum ladders and have a lightweight, highly portable option. This ladder can be split to use as 2 independent ladders, and with optional accessories, a bus assault or window entry platform, and even a litter to evacuate casaulties. This is not simply a ladder, but a tactical assault system. This system available in a collapsible and configurable and comes as a 10ft or 12ft ladder, or there are even one piece models, in various widths.